Looking for a change of pace? Want to use your skills to create sustainable change in a developing community? You could be our next volunteer! 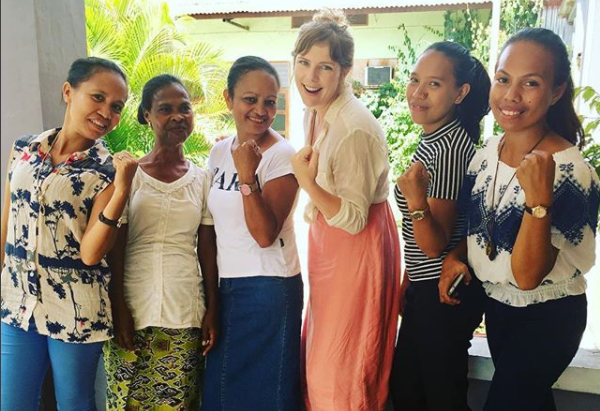 We’re looking for skilled professionals to volunteer with us in 2019 in developing communities in Timor-Leste, Papua New Guinea, Samoa, American Samoa, Kiribati, and Myanmar. If you have skills to share and are ready for a new challenge, we encourage you to join us for our Adelaide Volunteer Information Session on Sunday, March 10th. The session will be an opportunity to find out what Palms Australia does, what volunteering involves, and ask questions about current opportunities. Coffee, tea and light refreshments will be available. Family, friends and children welcome. The ideal of a single civilization for everyone, implicit in the cult of progress and technique, impoverishes and mutilates us.